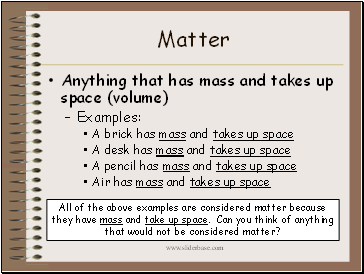 All of the above examples are considered matter because they have mass and take up space. Can you think of anything that would not be considered matter? 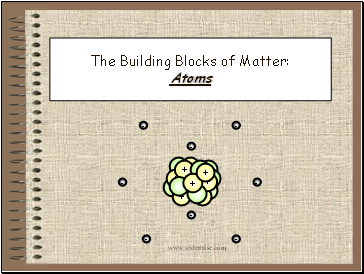 Smallest possible unit into which matter can be divided, while still maintaining its properties. divided and still have some meaning? it would take a stack of about 50,000 aluminum atoms to equal the thickness of a sheet of aluminum foil from your kitchen. a human hair is about 1 million carbon atoms wide. a typical human cell contains roughly 1 trillion atoms. 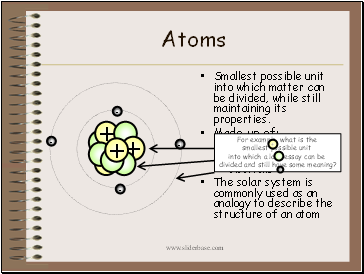 a speck of dust might contain 3x1012 (3 trillion) atoms. 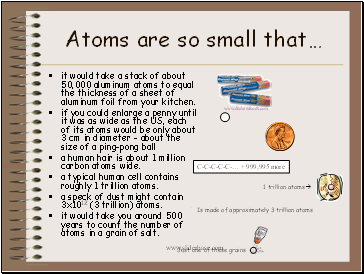 it would take you around 500 years to count the number of atoms in a grain of salt. 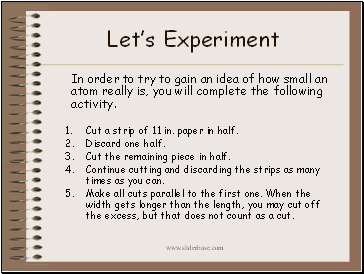 In order to try to gain an idea of how small an atom really is, you will complete the following activity. Cut a strip of 11 in. paper in half. Cut the remaining piece in half. Continue cutting and discarding the strips as many times as you can. Make all cuts parallel to the first one. When the width gets longer than the length, you may cut off the excess, but that does not count as a cut. How many cuts were you able to make? Do you think you could keep cutting the paper forever? Why or why not? 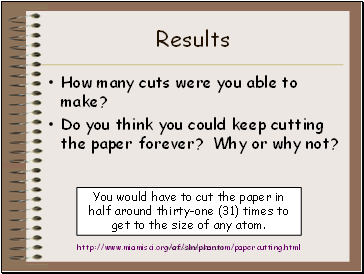 You would have to cut the paper in half around thirty-one (31) times to get to the size of any atom.